Having targeted a July 1 return to the game after a self-imposed hiatus, time passed slowly for CNG as a few of golf's finest apparel selections available hung patiently in my office for the better part of two months. Though two weeks delayed, an end to CNG's golf hiatus finally came to an end, and the start of a new lease on this writer's golf life began. Having denied myself any thought of playing for what seemed like an eternity as I ramped up a new business, I ran, I trained, I played hockey. I did everything I could to avoid any physical manifestation of golf. It was strange yet comforting to be back at my home course. New signage provided information crucial to my upcoming round. Was the halfway house open or closed? Was the beer cart out or in? No mention of today's pin positions. Not that it would matter, because the middle of the green would be more than adequate. I was playing golf again. Finally. It should come as no surprise from the page of a golf fashion blog that I put a great deal of thought into what I'd wear. Superficial? Yes. 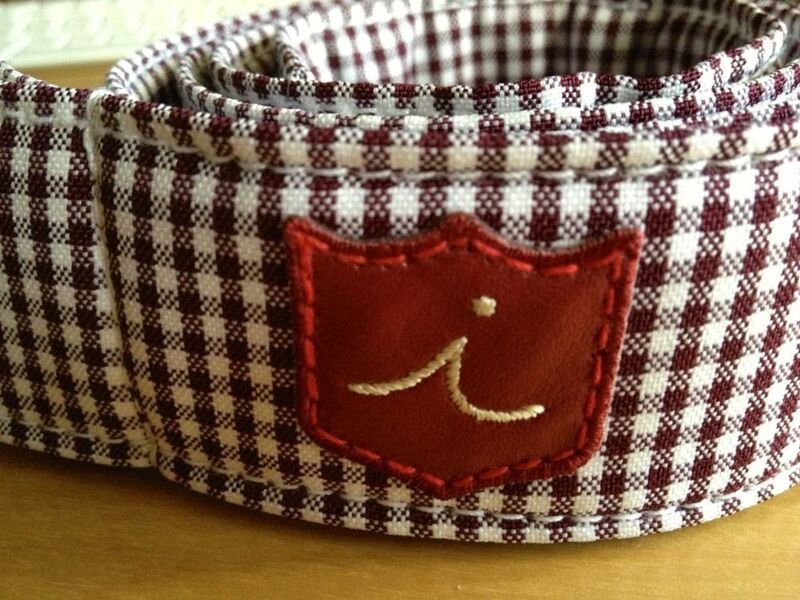 But as golf is best played with a positive mind, one should wear that which feels right. 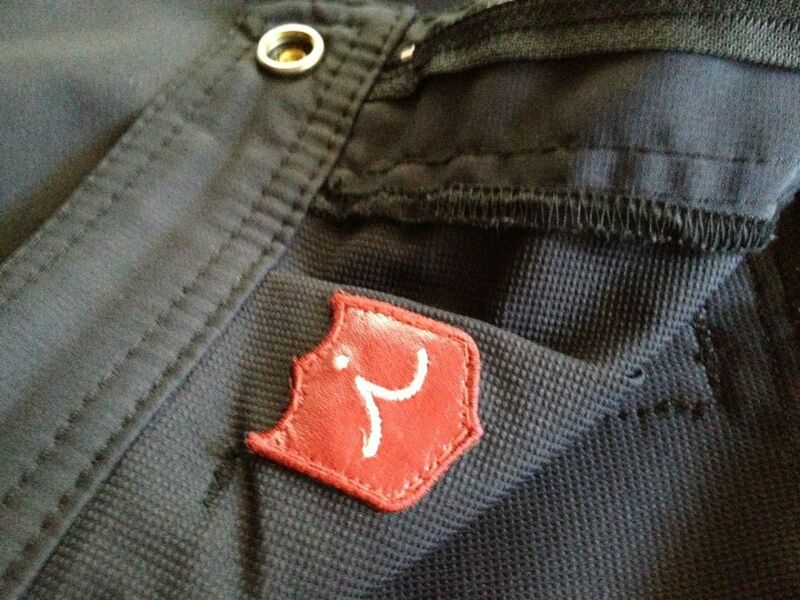 And so the choice was to wear Iliac Golf by Bert La Mar to mark my return, because the golf-centric Carlsbad, California-based brand puts a refreshing new spin on old-school golf values and craftsmanship. Not that it mattered to anyone else, but to me Iliac Golf represents what it should feel like to be a player -- but it just felt right. I'll go on record to say that I have ever harboured thoughts of being what I would consider a good player, because I've played with and watched too many good players over the years to put myself in that category. I can 'get it around' as they say -- more than long enough off the tee, but my downfall, like that of many, comes from 100 yards in -- save for decent putting. In many ways, everything old was new again. I put a new grip in play, moving to overlap from interlock, but the same, relatively old clubs were still in the bag. I hadn't touched them in nearly two years, and I hadn't changed my setup for the three seasons prior. 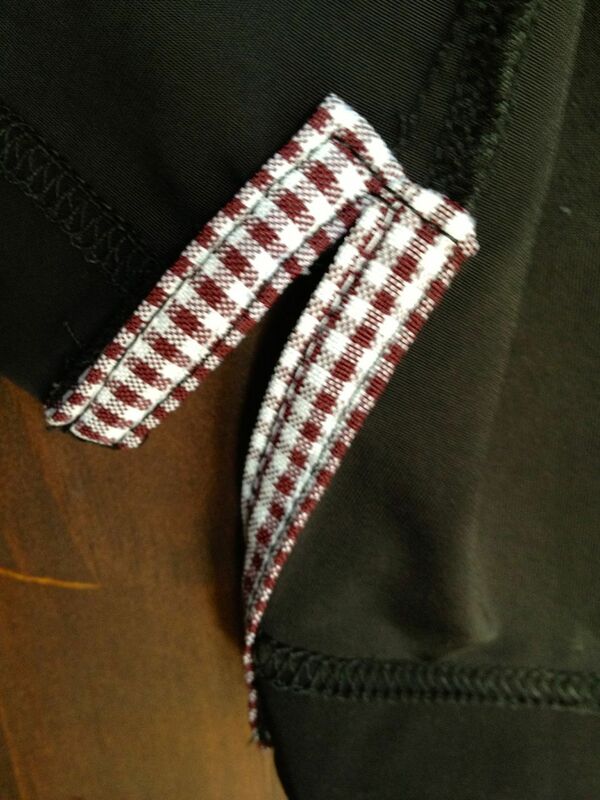 To say CNG's choice to wear La Mar's athletically slim yet luxurious Solid Black / Brick Red Gingham shirt, paired with black Luxury Dry Stretch (LDS) shorts, accented by a d-ring belt in matching red gingham hit the right note with CNG would be akin to saying Phil Mickelson has an 'ok' short game. As you have by now noticed, this is not a review laden with features and specifications -- that would be too easy -- though there are a couple of points worth noting. Technical, extremely soft, carries with it a pleasant weight. 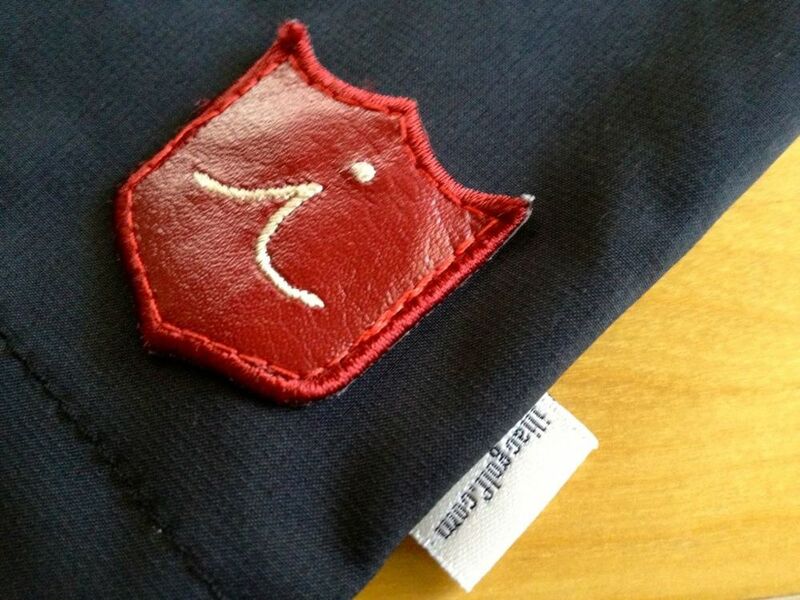 While some apparel feels weightless, this shirt from Iliac Golf is a welcome change of pace. It feels exceedingly rich and well crafted. Sleeves are slim yet supple. The collar is buttoned down. Neat and sophisticated all at once. The LDS shorts are of a length I favor and are beautifully tapered, properly falling only slightly beyond the top of the kneecap. Snap closure, interior and exterior logos. Rear pockets are scorecard / yardage book-depth perfect, while front pockets contain no surprises, making it easy to retrieve a tee peg or marker without diving into an abyss while your fellow competitor looks on in contempt. The d-ring belt is a dream. 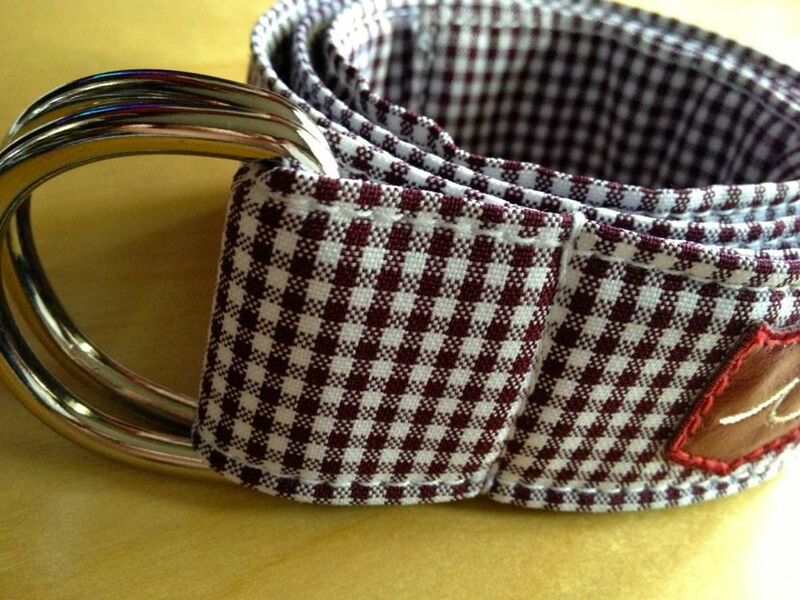 Easy to cinch, and stays comfortably taught. 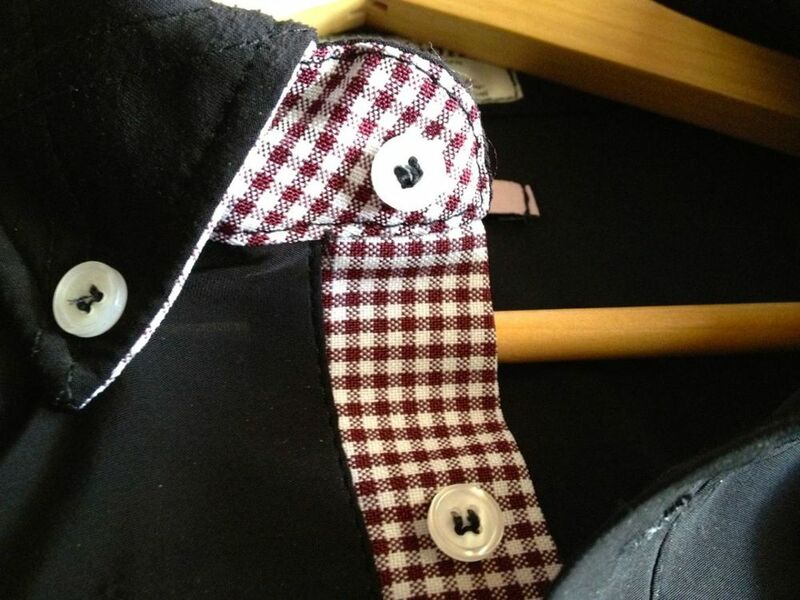 The gingham of choice coordinates perfectly in brick red, of the same pattern found in the shirt's placket and collar detail. 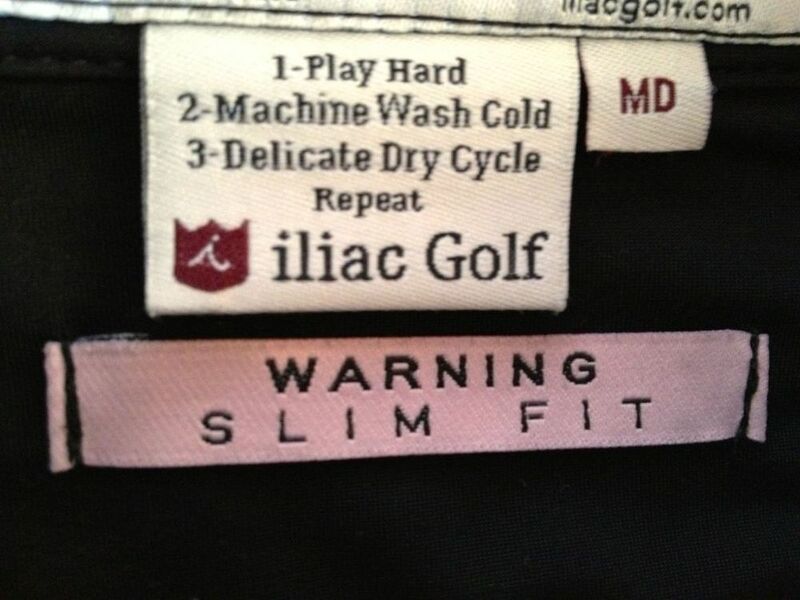 In Iliac Golf, La Mar's apparel makes no compromises, favoring the athletic and slim built player with high end material, exquisite craftsmanship, and an appropriate yet not unattainable price point to match. 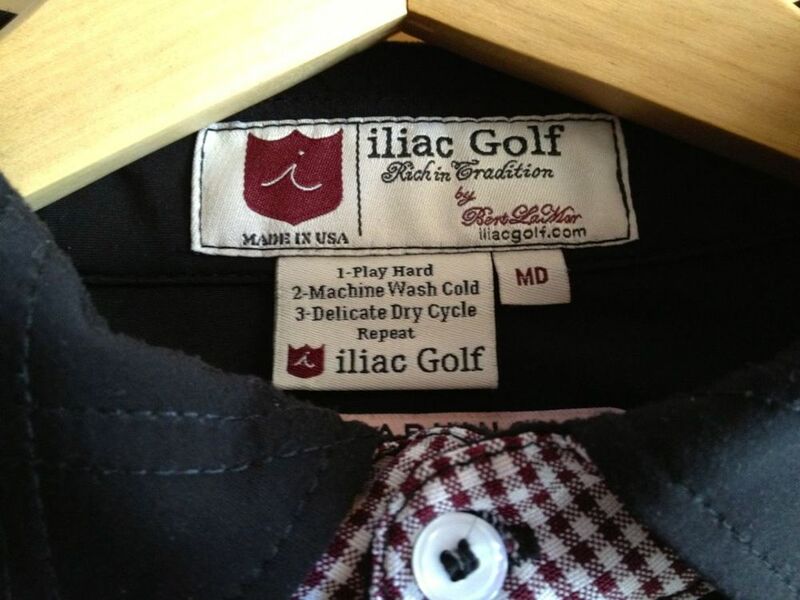 The selections from Iliac Golf profiled here are not my first from La Mar's collections, and they certainly will not be my last -- simply because Iliac Golf makes me feel like a golfer, like the player I am, and more importantly, like the one I think I can be. Even now, after two years away, well into middle age. So whether it's about breaking 90, 80, or 70, winning your flight or reaching greater heights, Iliac Golf will give you that feeling too. To pull a quote from the Iliac Golf website, La Mar speaks to the edict of Iliac Golf as, "Something unique, something special, something not available everywhere, something ready to meet the demands fueled by your passion, real core golf with roots to the past and arms in the future."